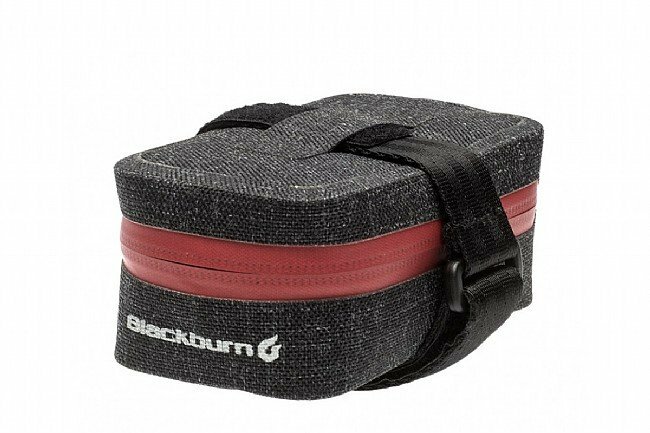 The Blackburn Barrier Micro Seat Bag is lightweight, durable, waterproof, and has clean looks that complement any bike. Hook-and-loop straps for the saddle rails and seatpost provide secure mounting and quick removal, and a waterproof zipper provides easy access to flat kits, CO2 pumps, cash, keys, or other ride goods. 0.25 liter capacity. Claimed weight is 25 g. Welded seams. Features reflective accents for increased visibility.